During my research of Scotland breweries and beers I came across a heather ale made by Williams Bros. Brewing. They claim that beer has been made with heather flowers in that part of the world for about 4000 years. In the 18th century however the English imposed laws that forbade the use of ingredients that weren't malted barley and hops, so heather ale disappeared for a while. In the 1980's a Gaelic family found an old recipe, gave it to the Williams Bros. brewery and since then the brewery has explored traditional beers that use ingredients found in the Scottish highlands. I began making my own heather ale, initially based off the William Bros. recipe but now it changes each time it's made. When asked to give presentations, provide beer as part of a project or festival, I generally will provide the heather ale. Here is an ongoing list of exhibitions, conferences, and events I have contributed to. Slow Beers is the name I have given my homebrewing operation. The Schneider Museum of Art in Ashland, Oregon had a group exhibition titled "The Mythical State of Jefferson," which is about the growing movement in Northern California and Southern Oregon to become the 51st U.S. state for a number of political reasons. I made 99 bottles of beer that were consumed during the opening. I considered beer the beverage of choice for revolutionary movements, and I thought the history of the heather ale, the resurgence of local-mindedness, provided somewhat of a parallel to what is happening with the Jefferson movement. I provided four different versions of the Heather Ale to the Group Dinner at Open Engagement. The dinner was prepared by traveling chef Leif Hendertal. I was invited by Tracy Candido and Chelsea Haines to be a part of their project Pub Discussion Series for Open Engagement 2011. The project consisted of a small pub crawl in which attendees would have the extended opportunity to talk with each other about topics from the conference in an informal way. One stop on the crawl was at Coalition Brewing, whom I have previously worked with. They took one of my heather ale recipes and brewed it on their commercial system. Open Engagement guests could purchase pints of my beer during the Pub Discussion Series. The collective art group M12 invited me to collaborate with them in the near future. I have visited their work site in Yuma, Colorado to get a feel for how they are working. 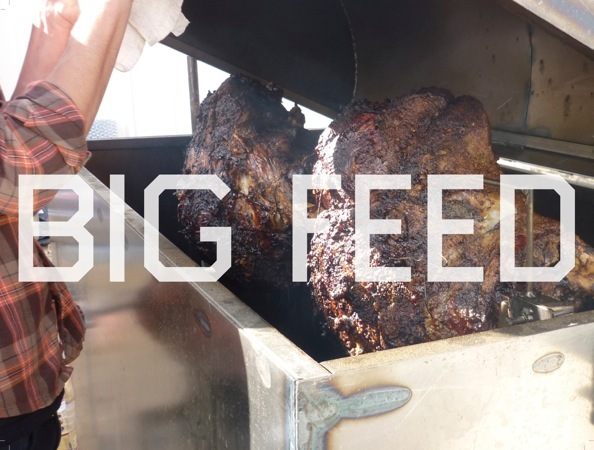 They organize an annual get together called The Big Feed where they invite artists, local business people, and local Yuma community members to give presentations, prepare food, provide music, and mingle. I gave a talk about my beer-related art projects alongside Ro Guenzel, the brewer of Left Hand Brewing. I also provided heather ale for audience members before and during the talk. 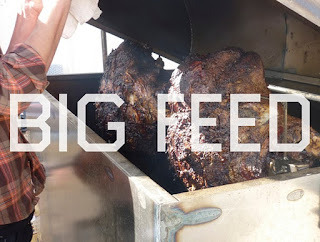 Tracy Candido and Eleanor Whitney have put together a program that looks at food as art, and explores the relations between the two. They invited me to give a talk about my beer-centered art practice at a New York city homebrew shop, Bitter and Esters. The shop brewed up one of my heather ale recipes in advance, on their pilot system, and we drank it throughout the event. Shop owner, John LaPolla, spoke to guests about how beer is made, and gave a background on the brewing culture of the city. I followed with a presentation about my work, including my very recently finished project for Performa.